The item of package included a nylon cord. 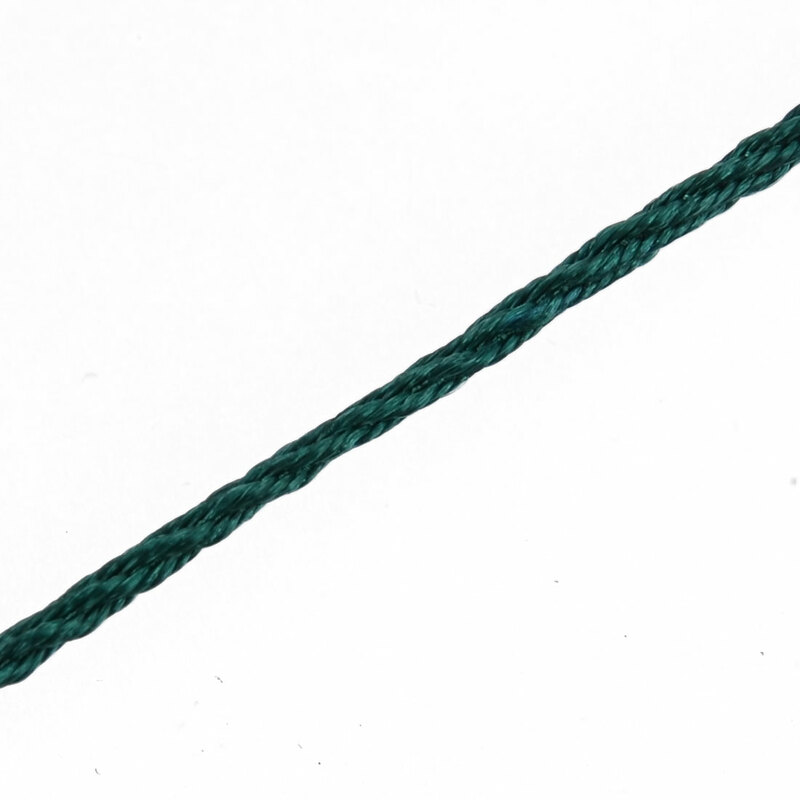 Multifunctional waxed cord string. Ideal for your handmade DIY crafts. This cord is made of nylon material, smooth, high-strength and durable, difficult to break and thus can last for a long time. This cord has many uses: you can use them not only to make Chinese knot, but also to make some decorations or DIY the jewelry you like. Available Color:White,Blue,Dark Green,Fluorescent Green,Chocolate Color. 1. Due to the light and screen setting difference, the color of item may be slightly different from the pictures. A great addition to your jewelry making supplies. Fit for beading jewelry like shamballa, handicraft. Perfect for jewellery making and general crafts.